This season brings along a well known classic; the stripes, thick, thin, vertical, horizontal and in different colors. With the stripes you get to express the maritime and confident look. Mix it along with other patterns if you dare. 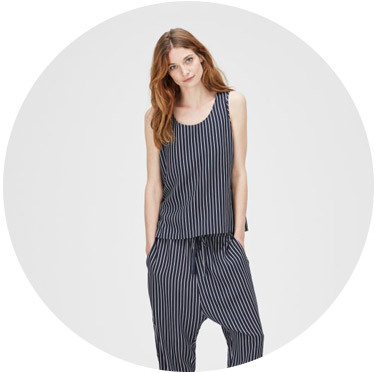 Or mix the different types of stripes with each other to express the scandinavian coolness.